Are you a skateboard fan? Do you love to feel the wind as you're riding down a hill? How would you like to feel that same wind going up a hill? Sound like something out of the future? 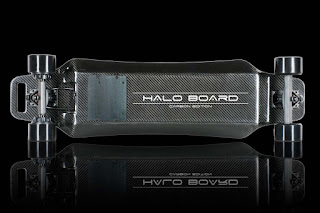 It is but also the present, Halo Board has redesigned everything you know and love about skateboarding. This is an electric skateboard that tops out at 22 mph, that is no laughing matter and may take some getting used to. You'll definitely need to pick up the skills to handle the acceleration without getting a little weak in the knees. Though electric skateboards have become somewhat common Halo Board wanted to create an experience of riding that people had never experienced before. 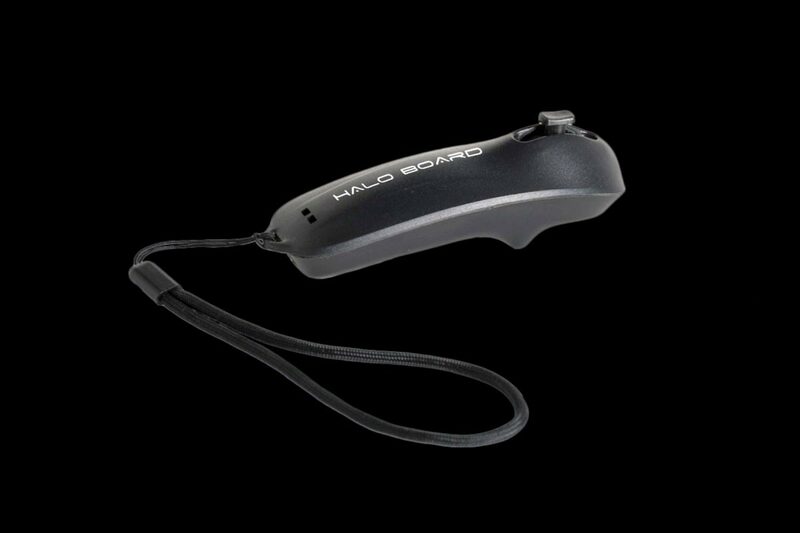 Using brushless hub motors, the micro sensors on the Halo Board remote are able to precisely transmit all signals instantaneously to your Halo Skateboard , giving you complete control over how fast you accelerate , stop, and heal and toe to carve the roads. 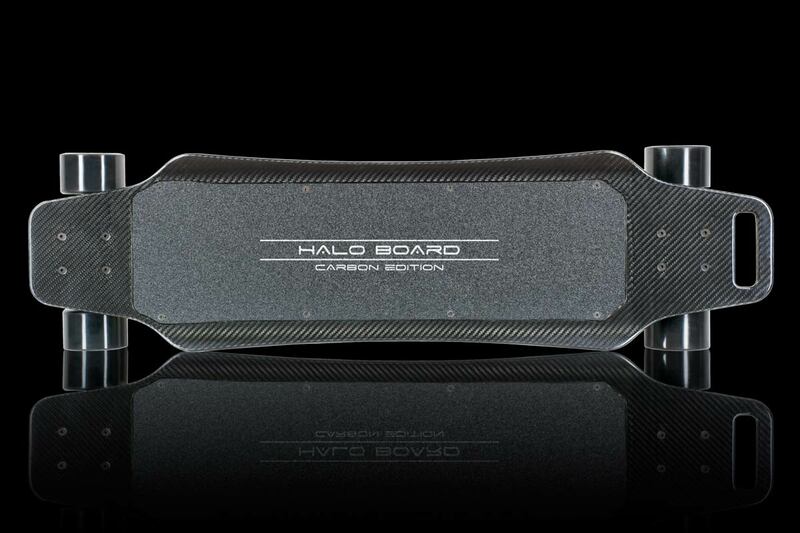 For those that like compact designs,the Halo Board was built using T700 Carbon Fiber to hide the batteries and motors from view. To the naked eye the Halo longboard looks like a regular skateboard, but once you fly around town, and I do mean fly around town, everything you believe is possible changes. Halo Board will get you around 12 miles before it needs recharging, and it only takes 3 hours to fully recharge, so you'll never have much down time. 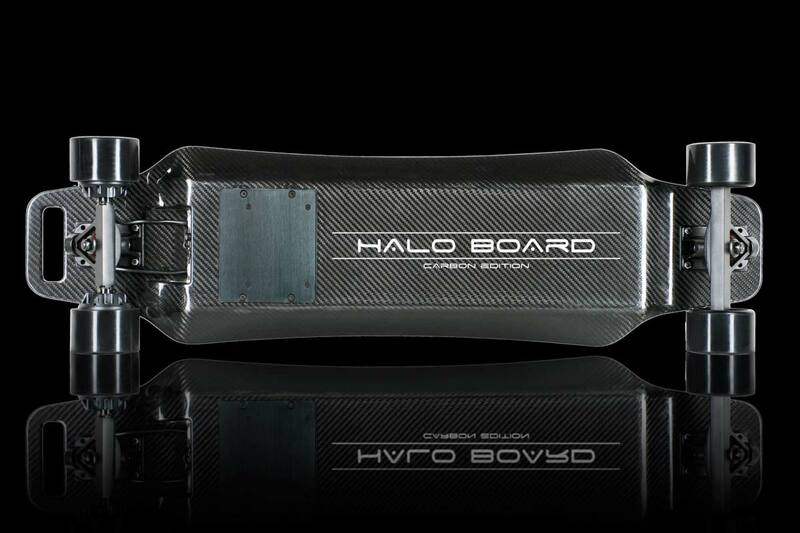 -Indestructible board, the Halo Longboard has a sleek design that establishes an aerodynamic advantage compared to other boards. 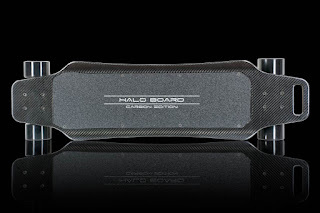 The utilization of 100% T700 Japanese Carbon Fiber on the Halo Skateboard makes the board weigh a mere 14.75 pounds. -Halo Electric Skateboard utilizes the ergonomic bluetooth Halo Remote that fits perfectly and comfortably into the palms of your hands. 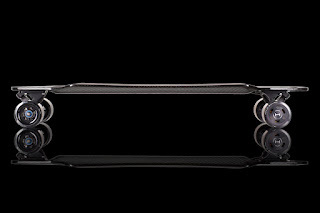 With it you can easily accelerate, brake and switch into reverse. 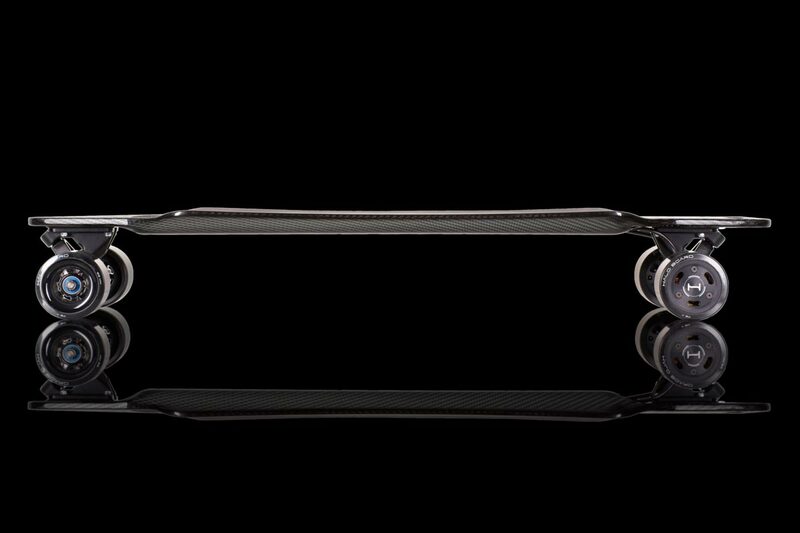 -The Halo Longboard utilizes custom made aluminum trucks along with 83mm with 78A to absorb impact and rumble of rougher roads. I was compensated for this post but the opinions are my own.